Your family and friends will value the extra thought you put into choosing a baby gift made with 100% Organic Cotton products. 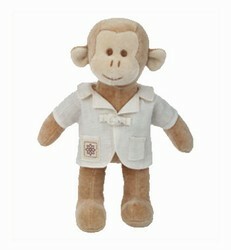 The Organic Monkey Business Gift Basket features BNature clothing products and an adorable monkey from Miyim, all organic, soft and wonderful. We selected BNature products for their thick, soft and stylish feel and looks. Included are 2 baby onsies, footed leggins, gown, booties and romper. A baby's skin is so new, tender and beautiful, it deserves the softest fabric you can find. 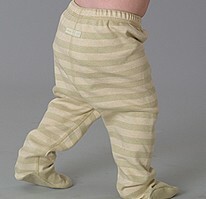 Please note these organic baby clothing are of the highest quality available on the market! They are not the usual basket clothing items you will see in most gift baskets!